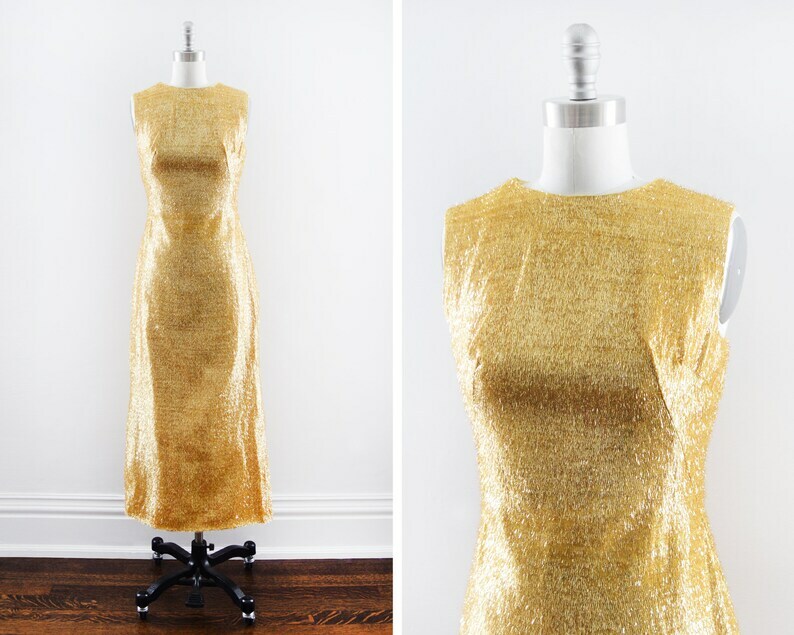 Fabulous vintage 60s gold tinsel maxi dress. Metallic gold eyelash tinsel covers the dress, which really makes this dress sparkle! Bust darts on the bodice, fitted waist, and long maxi skit with pleated slit sides. There's a small metal loop sewn on to the left side of the waist, which makes me think it was for a belt or scarf that went with the dress. Metal zipper up the back. Lined with a yellow nylon feeling fabric. This is the perfect party dress!